May I have ye're attention please? Top of the Mornin' to Ye! 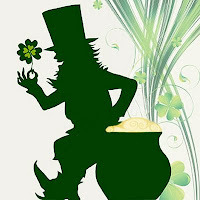 My name is Mulford O'Munchkin, President and Chief Executive Officer of Imps, Scamps, and Leprechauns International Inc. We are the spritely folk who visit human beings 'round the world each and every St. Patrick's Day, bringing mirth, merriment, and just the right dash of silly. Tee, hee, hee, hee, hee! It is me sad duty to inform the people of the USA that we will make no personal appearances in ye're country in 2012, not even on behalf of Lucky Charms. And they pay us a damn good buck to hawk that sugary crap that makes ye're kids obese and gives ye diabetes! You see, we make our living making silly. We throw books about when no one's around, to the delight of children. We pull the cat's tail, to the delight of the dog. And we yank chairs out from under people's big fat arses, to the delight of the person they're married to! La, la, la, tee, hee, hee! But this year, you Americans have outdone us in silly! Ye have devised a political process for electing presidents that is so silly it makes tossing books about look like a graduate level course in William Butler Yeats! It is so silly it makes pulling chairs out from under people's big fat arses seem like bein' so smart ye can actually locate and understand the dirty parts in James Joyce's "Ulysses!" What if we came to ye're country and one of ye managed to catch one of us, and we had to grant ye a wish? What are ye gonna wish for? Ye've already got a guy running who doesn't believe in Evolution. What would ye like next, some idiot who believes in leprechauns? Then you've got a guy whom nobody likes or trusts, puts his foot in his mouth every time he opens it, and changes his positions faster than I can yank a chair out from under Melissa McCarthy's big fat arse .... and he's the front-runner! That goes beyond silly, me friends! That's friggin' nuts, pardon me Gaelic! So you see, ye Americans simply wouldn't find our brand of silly all that silly anymore. Obliterate every man, woman, and child in ye're country and reduce the United States of America to a smoking burnt-out ruin!!! 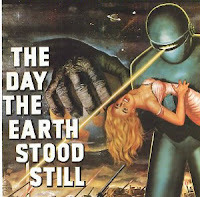 Gort Barada Nikto. Sure and Begorrah! Now I wanna tickle each and every one of ye!